H-E-B on Wednesday issued a recall on two variety packs of Creamy Creations ice cream and sherbets in 3-ounce cups because of broken metal found in processing equipment. The potentially affected products were distributed to stores across Texas. No injuries have been reported, according to a news release. 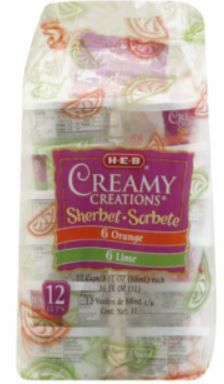 Twelve count of 3-ounce cups of Creamy Creations Orange Lime Sherbet has been recalled by H-E-B. 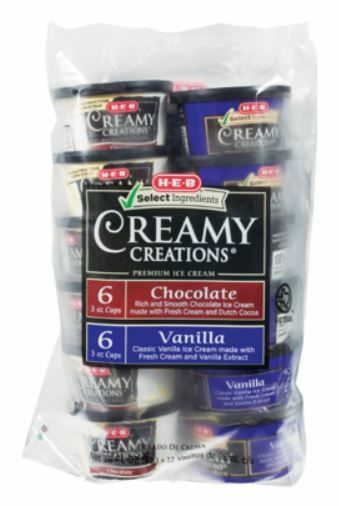 Twelve count of 3-ounce Creamy Creations Vanilla Chocolate has been recalled be H-E-B. Customers who purchased the products can return the ice cream for a full refund. For more information or concerns, call (855) 432-4438 from 8 a.m. to 6 p.m.